The Traverse City West Marching Band paraded down Front Street to the State Theatre on Saturday night for thesold-out screening of "Step and Close," a documentary on the experience of being in the band. An additional screening of the film will be shown at 3:30 p.m. Sunday, Dec 5, 2010. 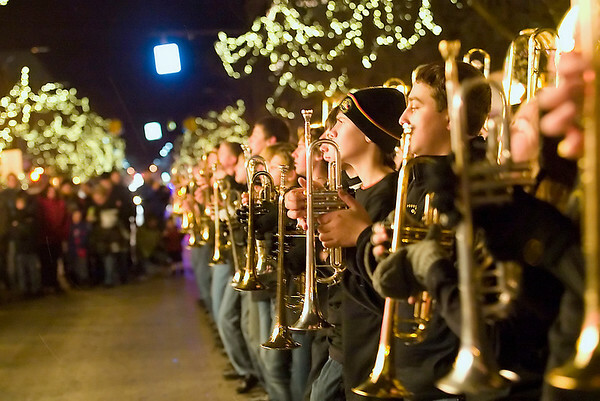 Proceeds from the film will go to the Traverse City West Middle and High School Band Program.